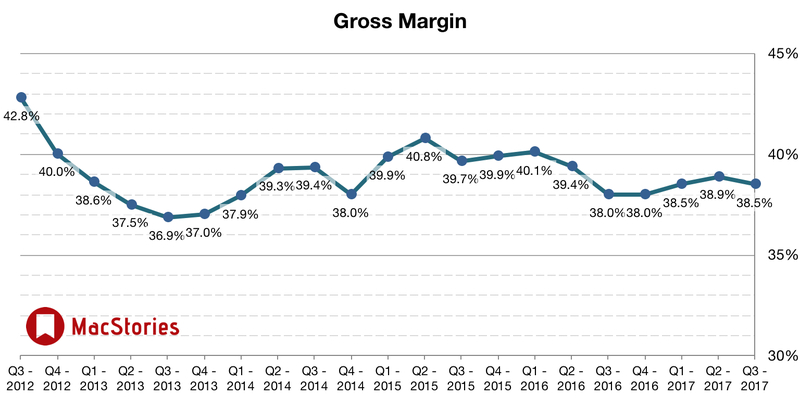 Apple's revenue guidance for Q3 2017 fell between $43.5 billion and $45.5 billion, with gross margin estimated to be between 37.5% and 38.5%. 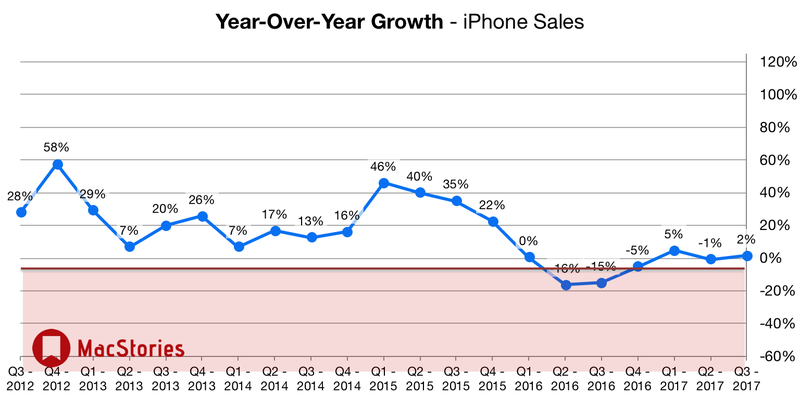 We expect iPhone shipments to remain relatively muted, amid weaker demand from Greater China and also as customers potentially hold off on upgrades as the launch of the new 10th anniversary iPhone – which is expected to sport Apple’s first design refresh in three years – draws closer. 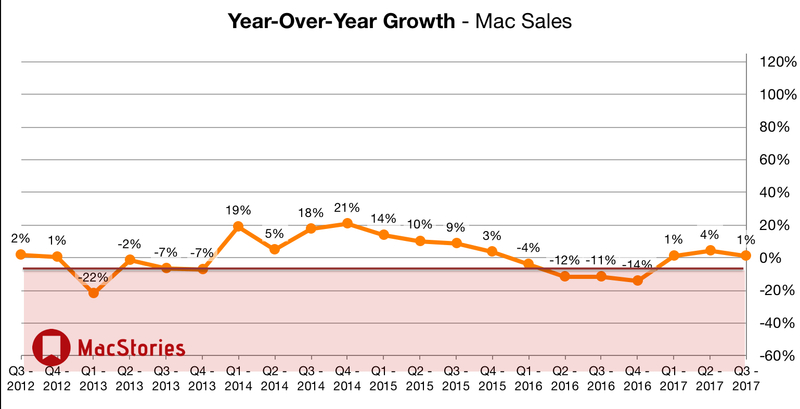 Average selling prices could also face some pressure, as Apple tries to reduce inventory of iPhone 7 and prior models via some discounting. 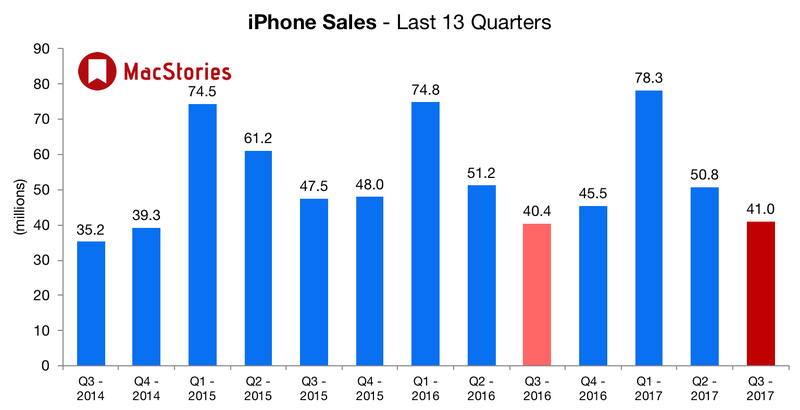 That said, this could be partially offset by stronger demand mix for the larger iPhone 7 Plus models and a slightly weaker U.S. dollar. 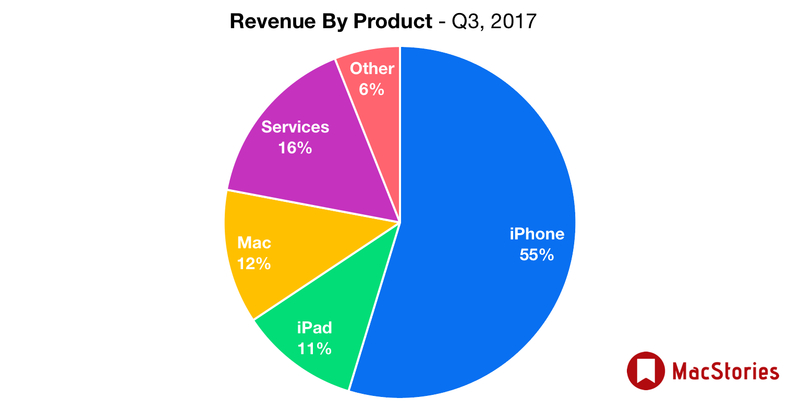 iPhone ASPs stood at about $655 during Q2 FY’17. 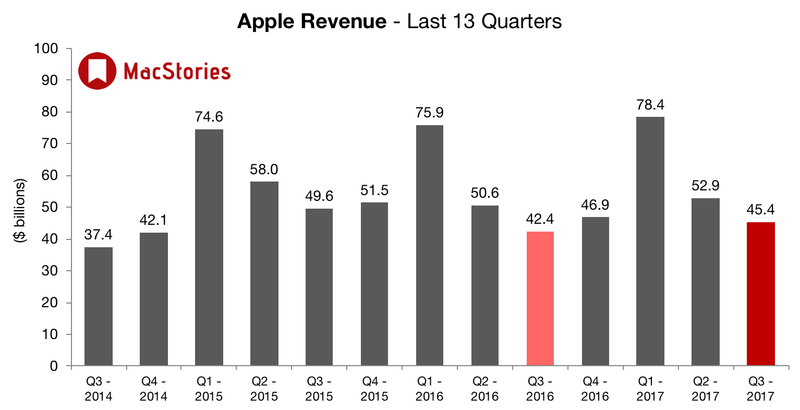 In the year-ago quarter (Q3 2016), Apple earned $42.4 billion in revenue, and $7.8 billion in profit. 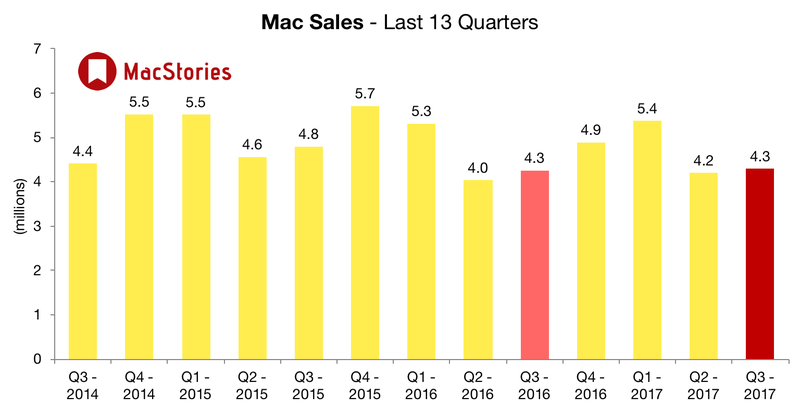 During that quarter Apple sold 40.4 million iPhones, 9.95 million iPads and 4.25 million Macs. 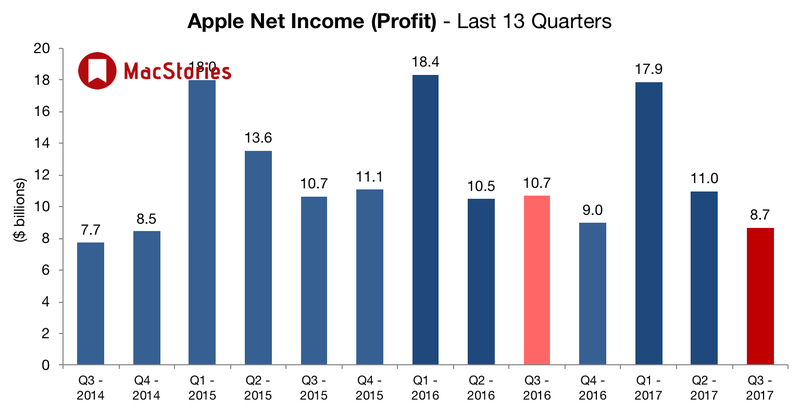 Below, we've compiled a graphical visualization of Apple's Q3 2017 financial results. 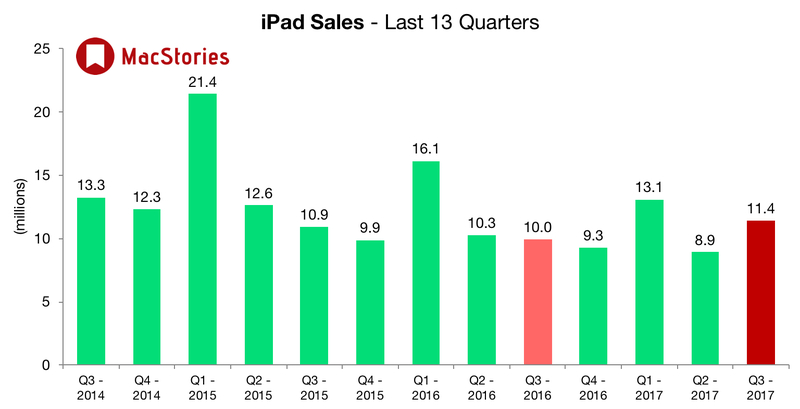 iPad unit sales actually up 15% y/y (28% was q/q change). 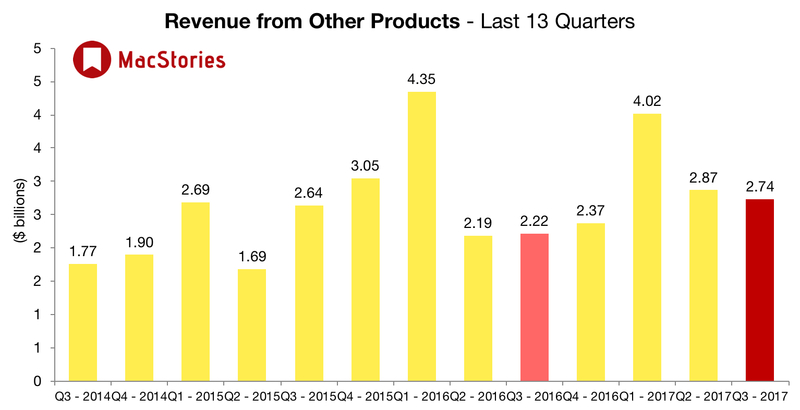 Still sticking with the WOW. 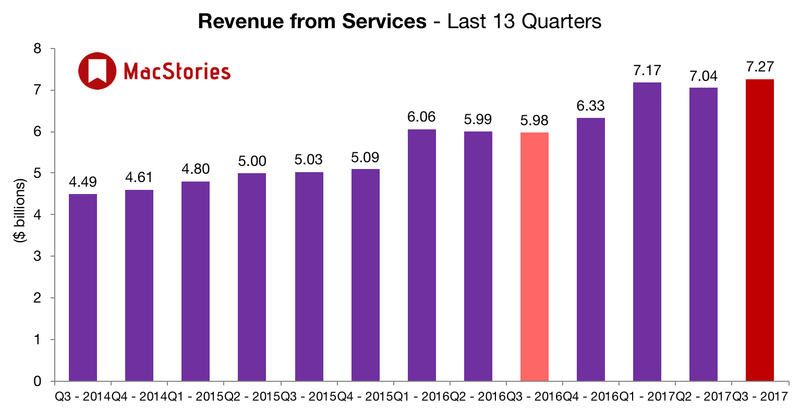 Apple had an all time quarterly record for services revenue. 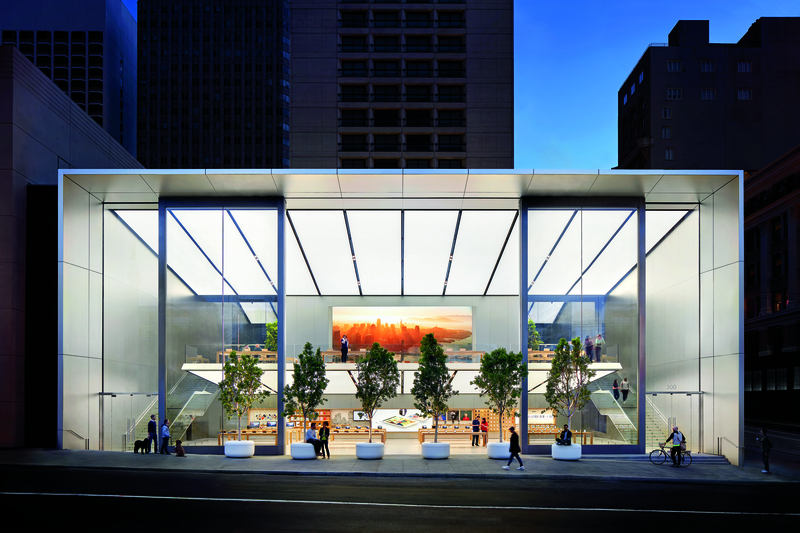 Apple shares now up 5% to $158. All-time high. 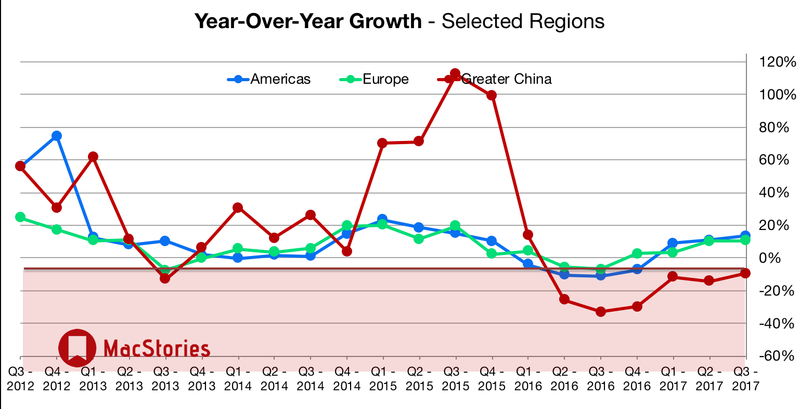 CNBC: Tim Cook: iPhone demand was greater than sales indicate as channel inventory fell ~3M units. 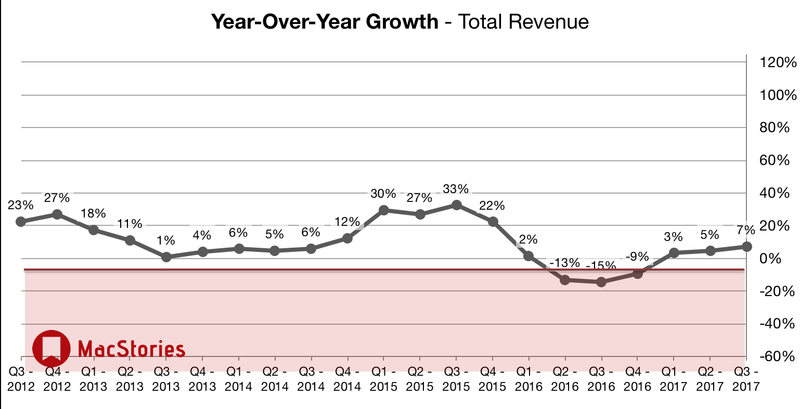 Apple Services revenue up at least 10% year-over-year in Greater China. 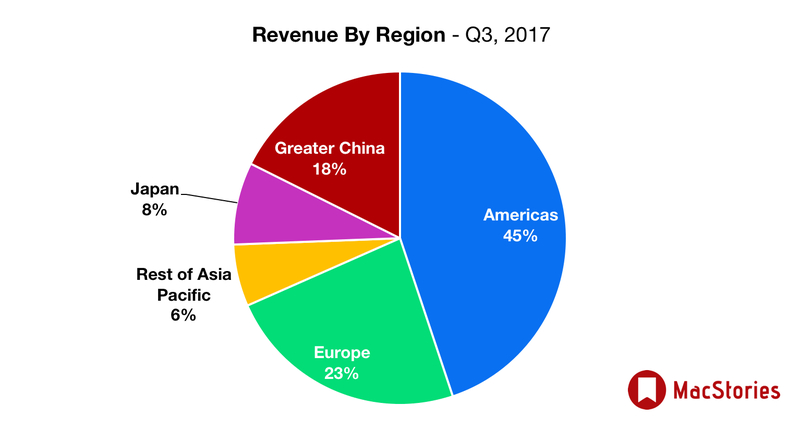 "ARKit will become the world's largest AR platform when iOS 11 launches in the fall." 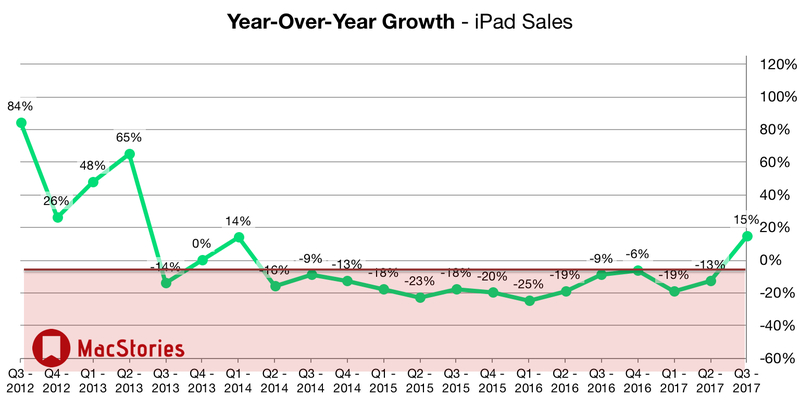 iPad has 89% of tablets >$200 in the USA. 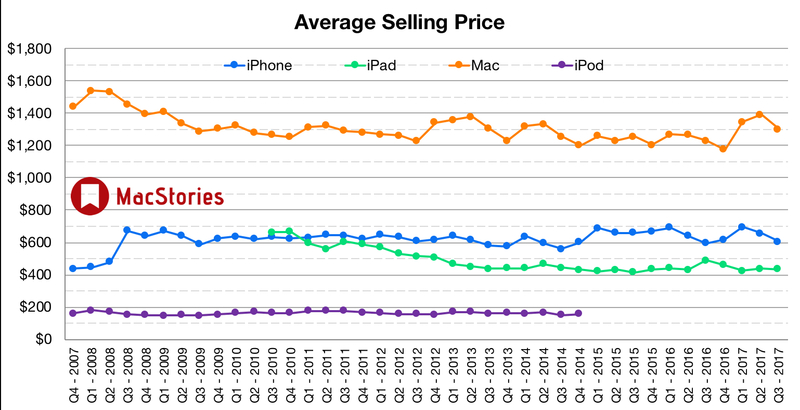 There are two tablet markets: iPads and generic cheap black plastic.